Epigram Books is a Singaporean independent publisher best known for the middle-grade series The Diary of Amos Lee, translations of Singapore’s Cultural Medallion winners, and new editions of out-of-print classic Singaporean novels. Epigram Books also publishes children’s picture books, plays, graphic novels and cookbooks. Nearly fifteen percent of Epigram Books’ list is works in translation and its list of picture books, the Stories from Around The World series, features contemporary titles handpicked by Publisher and CEO Edmund Wee. 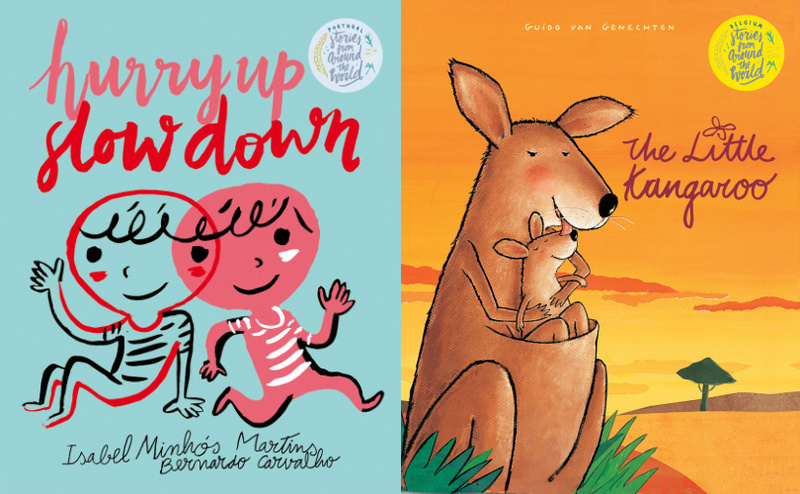 Most recently, Epigram Books translated The Little Kangaroo by Guido van Genechten (from Dutch) and Hurry Up, Slow Down by Isabel Minhós Martins and illustrated by Bernardo Carvalho (from Portuguese) to English. I spoke to Wee in Epigram Books’ Toa Payoh office. How did Epigram Books’ Stories from Around the World series start? Epigram Books wanted to introduce English-language books that were not books from the U.S. or the U.K. to Singaporean readers.